Shanti Grumbine is a New York based visual artist who transforms printed news media through intricate paper cutting, collage, scanning and printmaking to process tragic content and elicit a sacred experience for herself and the viewer. Group show venues in New York include MagnanMetz Gallery, A.I.R. Gallery, Planthouse Gallery, The Islip Art Museum, The Dorsky Museum and IPCNY. Select solo show venues include A.I.R. Gallery, Brooklyn, NY and Muroff Kotler Visual Art Gallery at SUNY Ulster, Stone Ridge, NY. Residencies include the Millay Colony, UCross, Yaddo, the Wave Hill Winter Workspace Residency, Lower East Side Printshop Keyholder Residency and the Bemis Center for Contemporary Art. Her work will be included in the 2015 AIM Biennial at the Bronx Museum, Bronx, NY. A recipient of the Japan Chamber of Commerce and Industry (JCCI) Singapore Foundation Culture Award 2007, Noor Effendy Ibrahim has served as a member of the Singapore National Arts Council Board from 2004 to 2006 (7th term) as well as on several other consultative panels and committees on arts and culture in Singapore. 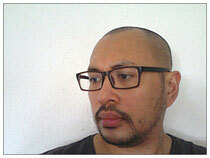 Currently the Artistic Director of The Substation since 2010, Singapore’s first independent contemporary art space, Effendy has also served as the Artistic Director of Teater Ekamatra, a Singapore-based contemporary Malay Theatre company, from 2001-2006. An interdisciplinary artist, Effendy has created solo and ensemble art projects and performances, and has worked with arts groups such as Teater Kami, Teater Ekamatra, Cake Theatrical Productions, spell#7, and Maya Dance Theatre. Having completed his ‘O’ Levels at Raffles Institution (1989; Singapore) and ‘A’ Levels at Victoria Junior College (1991; Singapore), Effendy went on to obtain a Bachelor of Fine Arts from The School of the Art Institute of Chicago (2000; IL, US), and a Master of Arts in Contemporary Practice from Nanyang Academy of Fine Arts-University of Huddersfield (2007; Singapore). Gloria S. Daly is a full time artist living and working in the Cowichan Valley on Vancouver Island BC. 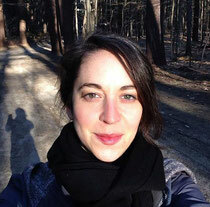 She works primarily in fabrics and fibers with a focus on hand stitching. 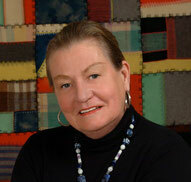 Gloria conducts workshops, seminars, and artist talks on textile art. Gloria Daly has a Master Design certificate from The Embroiderer’s Guild of America Inc. and an Associate degree in Applied Arts and Science, Vancouver Island University. She holds certificates from City & Guilds of London UK in hand embroidery, design, machine embroidery, and creative quilting. Gloria Daly has exhibited in Canada, USA, UK, Australia, France, and Japan. She is associated with: Fibre Art Network, Studio Art Quilt Assoc., Surface Design Assoc. of America and was a founding member of Articulation.